Send A Message To Lezli. As both a parent and a teacher, I learned that playing, art, and creative activities were the most effective and meaningful ways to engage others in exploring their intrinsic potential for success. When I made the decision to become a counsellor, I was drawn immediately to Sandplay, Art, and Play Therapy because of the potential they have for increasing problem solving skills, self regulation, resilience, self esteem and deep healing. Not being expected to constantly speak directly about what is most difficult in your world, but still being able to move towards positive change, can be very freeing. My commitment to helping others through the challenges of anxiety, divorce, family change, mental health challenges, and depression, among others, is demonstrated through counselling goals which may include increasing self confidence, self advocacy, problem solving strategies, increasing resiliency and developing healthy outlets for emotions. My approach is client centered, and respectful of your beliefs and cultural background. I work in a manner that is strengths based and that supports personal empowerment. 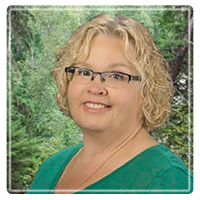 I have a Master of Arts degree in Counselling Psychology, a Registered Clinical Counsellor with the British Columbia Association of Clinical Counsellors (BCACC) and registered Child Play Therapist with the Canadian Association for Child Play Therapy (CACPT). In addition to those qualifications, I am completing training and supervision in Art Therapy and Sandplay, with the goal of receiving credentials in 2018. I am a Sandplay Therapy student and Board Member of the Canadian Association for Sandplay Therapy (CAST) and a member of the British Columbia Play Therapy Association (BCPTA). I am an Advance Diploma Candidate with the Vancouver Art Therapy Institution (VATI). I believe in improving my skills, so that I can better support positive change for those I work with in counselling. I have always believed in our ability to recover from even the deepest emotional trauma, given the right circumstances A calm space, someone who wholly accepts us for who we are without judgement, and an opportunity to recognize, explore and build upon our own strengths can create wonderful potential for positive change. Counselling is about growing your strengths and being empowered to step beyond those events or challenges in your life that have left you or a family member feeling vulnerable or wounded. Finding Balance Counselling and Consulting is located in a quiet, residential area in Fort St John. Appointments are available between 4:00pm and 9:00pm Monday through Friday, with limited availability on the weekends. Arranging an appointment can be done via email at finding.balance.counselling@gmail.com or by phoning 250.793.7676. Please leave a brief confidential message and return phone number.